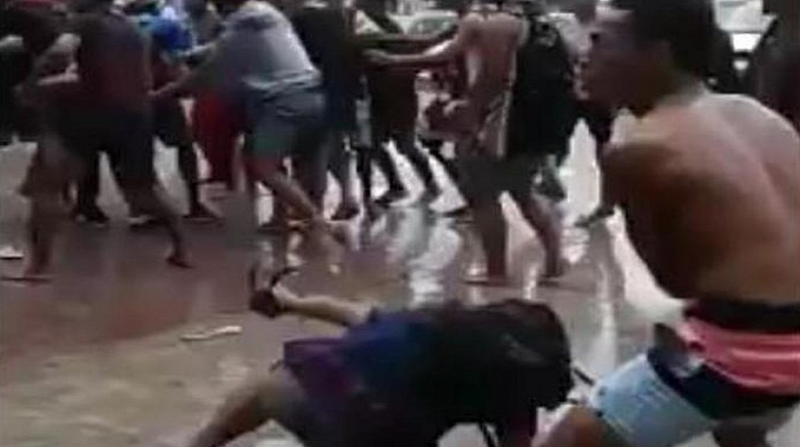 Student brawls have reared their ugly face in Nuku’alofa once again. This time though the brawls occurred during the national mourning period for the late Queen Mother Halaevalu Mata’aho. During the period of national mourning, the people of Tonga are wearing black and some businesses remain closed. Two videos of students fighting in public have surfaced on social media. One video shows students in their school uniforms from two boys’ schools fighting at the main bus stand. Some members of the public could been seen joining the fracas and throwing punches randomly. Kaniva News reports in another video some youths were seen fighting near the Free Wesleyan Church Main Office known as Tungi Colonnade. Last year 30 police officers were deployed to quell brawls involving students in public places.